This fall, the National Garden at the United States Botanic Garden (USBG) turns 10 years old. 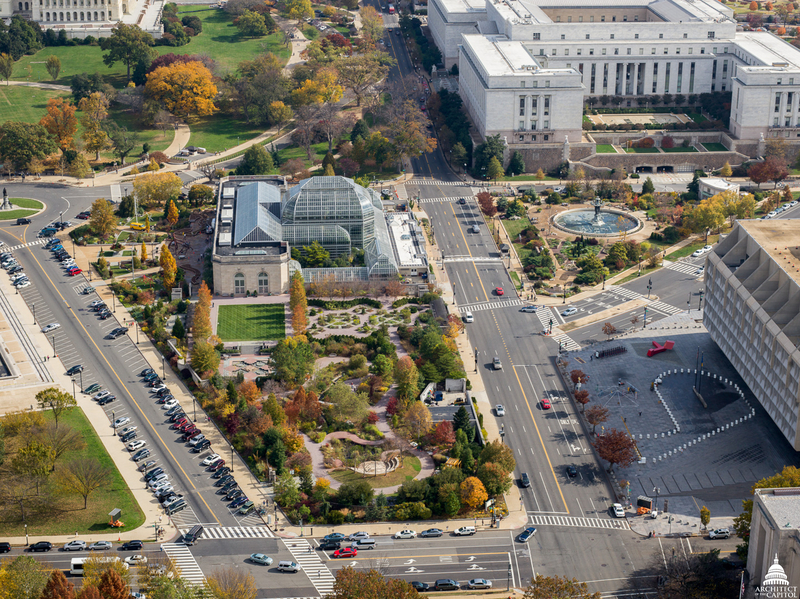 Opened to the public on October 1, 2006, the National Garden is a key element of the USBG, along with the Conservatory and Bartholdi Park. 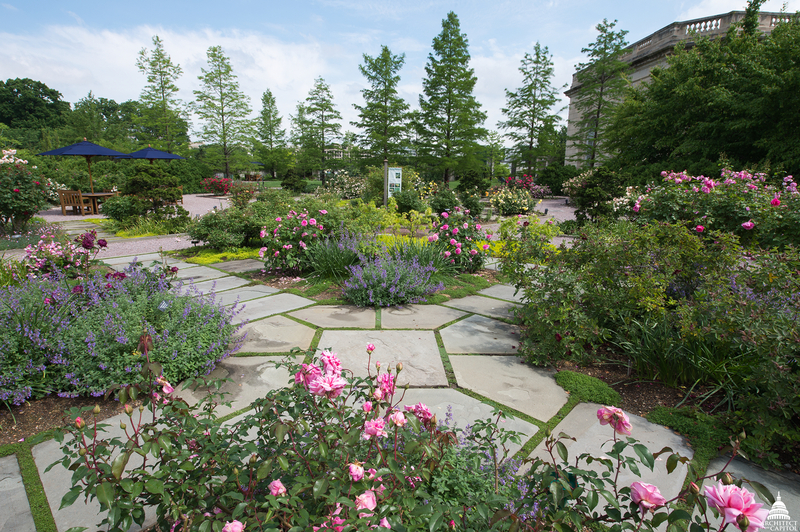 The National Garden's Rose Garden celebrates the national floral emblem. After the rose was declared the national floral emblem in 1986, the supporters of this proclamation began an effort to construct a rose garden near the U.S. Capitol. 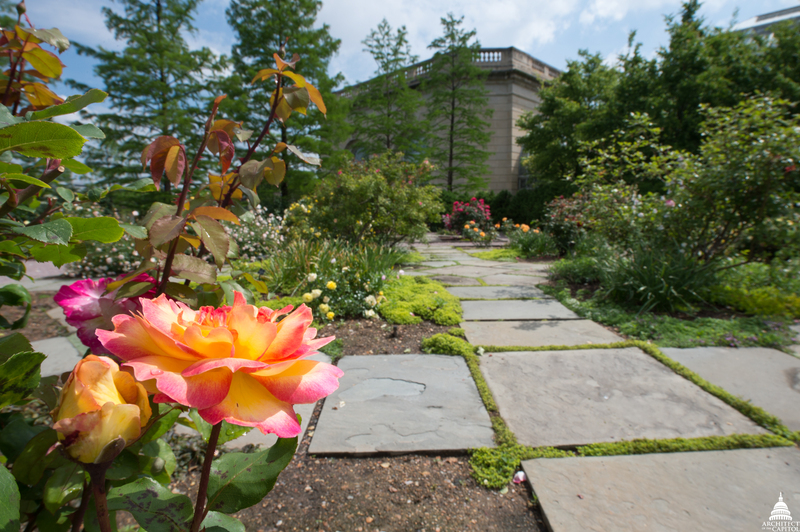 In 1989, Congress authorized construction of the National Garden to provide visitors a place to experience "the diversity of plants, including the rose, our national flower." 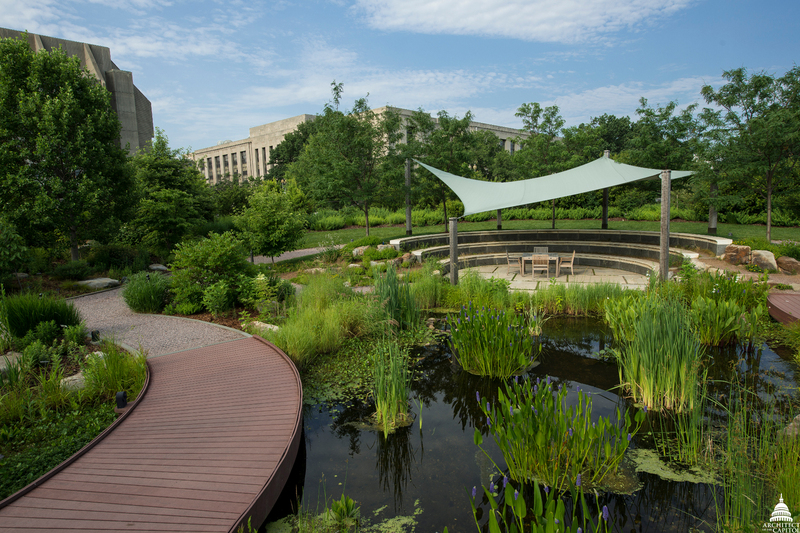 The National Garden is the result of a successful collaboration between the U.S. Congress, the Joint Committee on the Library, the National Fund for the U.S. Botanic Garden, the USBG and the Architect of the Capitol. 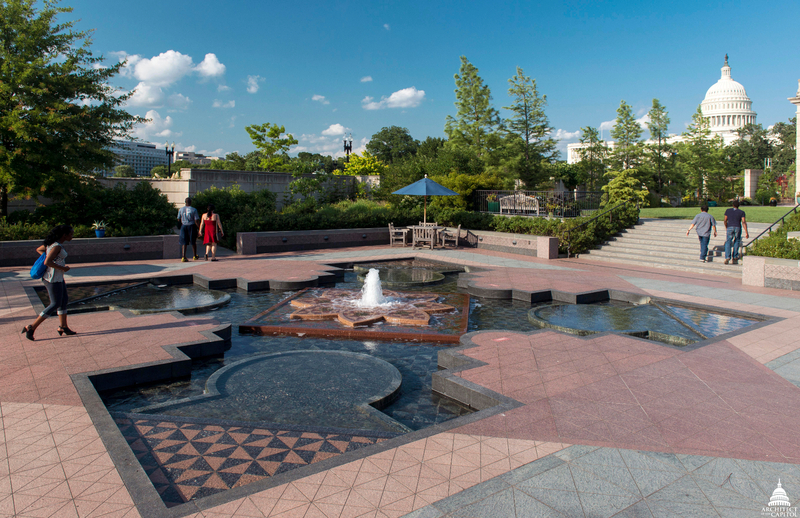 The First Ladies Water Garden honors the contributions of our nation's First Ladies. In 1994, a National Garden Gala held on the site garnered national attention when it was attended by the sitting and five former First Ladies – Hillary Clinton, Barbara Bush, Nancy Reagan, Rosalynn Carter, Betty Ford and Lady Bird Johnson. 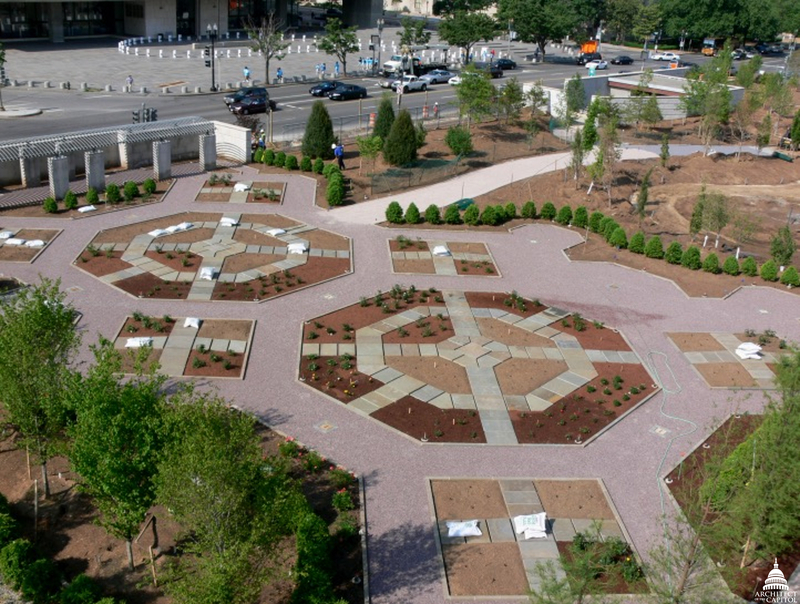 All parts of the National Garden were completed in September 2006 – Rose Garden, Butterfly Garden, Lawn Terrace, Hornbeam Court, Regional Garden (a garden of Mid-Atlantic native plants), Amphitheater (created with salvaged marble steps from the East Front of the Capitol), and the First Ladies Water Garden, which is the only memorial recognizing First Ladies. 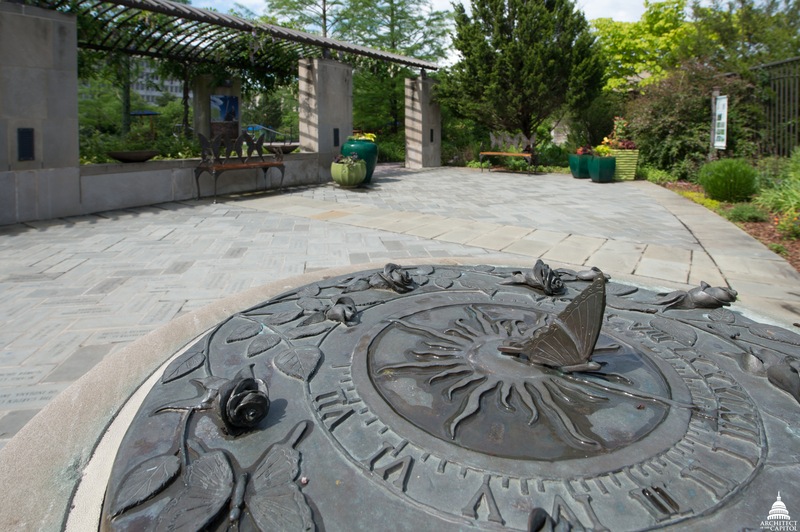 A sundial in the Butterfly Garden (left) and a bridge over the wetlands in the Regional Garden, which leads to the Amphitheater (right). From season to season, more than half a million visitors explore the USBG's outdoor gardens. 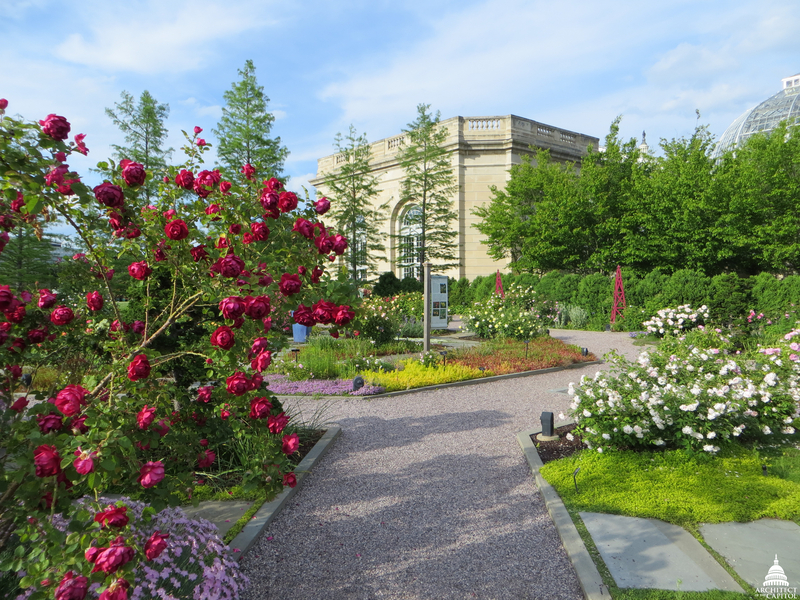 In spring and fall, the Rose Garden draws large crowds to see the bountiful blooms. During summer, many visitors enjoy pollinators and flowers in the Butterfly Garden, while others love to see the carnivorous sundews and pitcher plants in the Regional Garden's bog. Throughout fall, plants native to the Mid-Atlantic region put on a colorful display. Even in winter, bright berries attract both visitors and hungry birds. 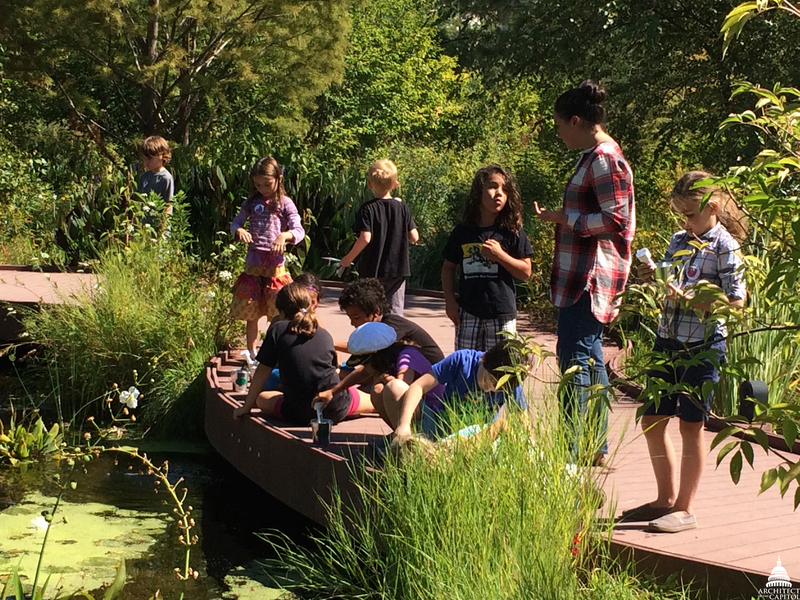 Yearround, the National Garden serves as a living classroom where thousands of students and other visitors learn about plants through class fieldtrips and USBG educational programs. The National Garden serves as a living classroom for children, students and visitors of all ages. At this 10-year mark, we celebrate the many opportunities the National Garden has given for the USBG to connect people with plants. We invite you to join us this summer and fall as we mark the anniversary with special tours and programs. Find more details on the history, photos and a full video of the 1994 gala at usbg.gov/nationalgarden10. 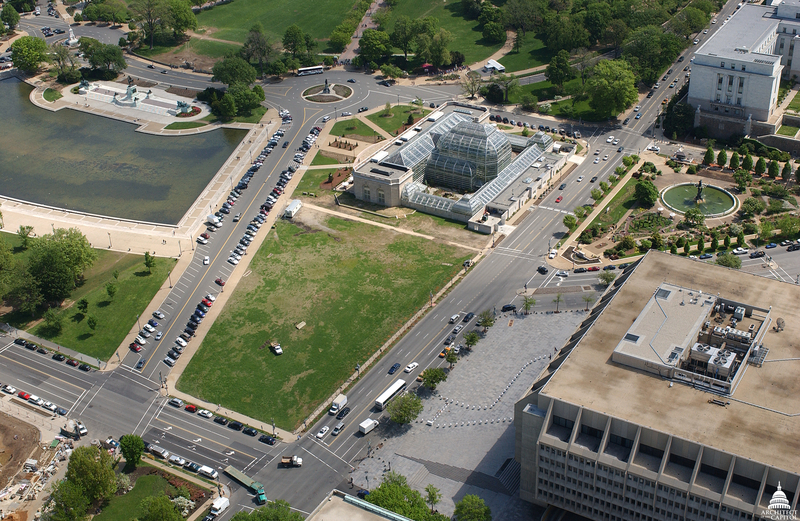 From simple turf grass (left) to a comprehensive garden (right), the outdoor space west of the Conservatory changed dramatically with the creation of the National Garden. Since its original creation (left), the Rose Garden continues to mature (right).